Suspension: Rusty's 3" W/1.5" spacers & shackles=4.5"
It was an awesome trip and honestly, it was my favorite of the year. Mt. 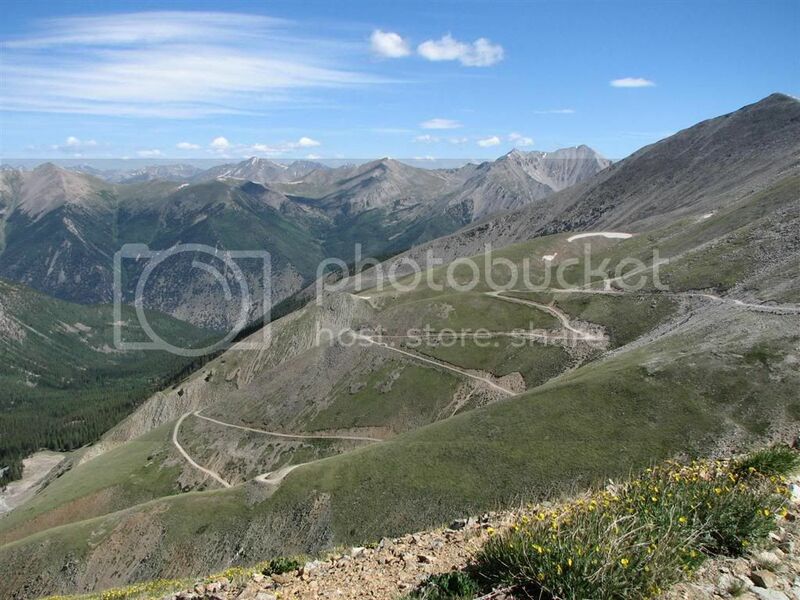 Antero is near the town of Buena Vista and closer to the old mining town of Tincup. The trail starts out rocky and fairly steep right from the start. It runs along a stream for quite a while up the valley. 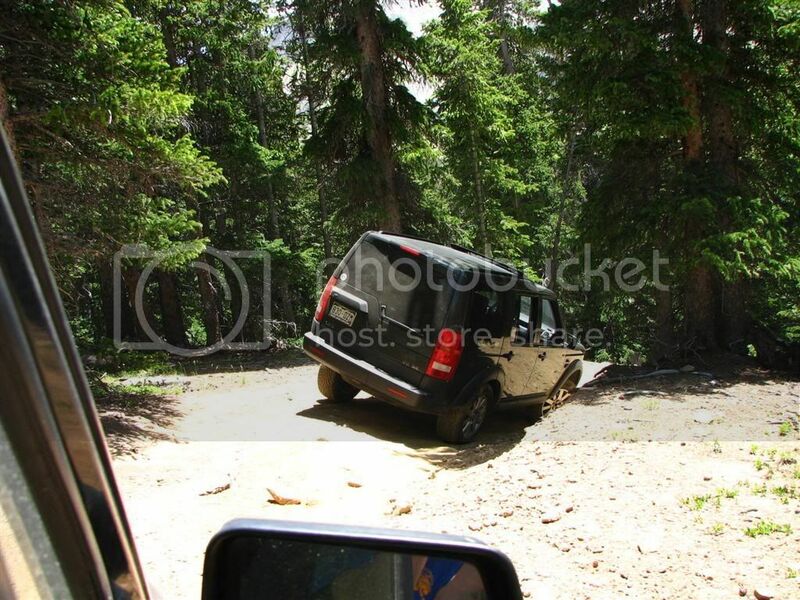 The rocks are not big, but it makes for a bumpy ride. The trail continues it's rocky climb until it comes to an intersection at a stream crossing. If you take the trail to the right, you will be on the Baldwin Lakes trail. We crossed the stream and just past this is a good sized campground at around 11,000'. Our group camped here for the night. This was our campsite for the night. The campsite was right near this awesome pool. The next morning, we all headed up the trail to Mt. Antero. Still rocky and bumpy, but not too steep. As we get to treeline, the views are spectacular. You can see the whole range of mountains around you. 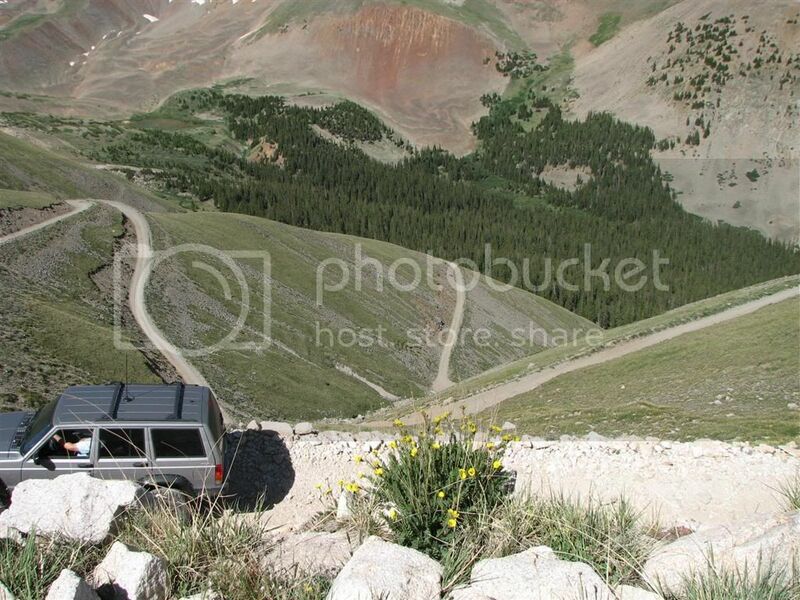 Then the switchbacks start. 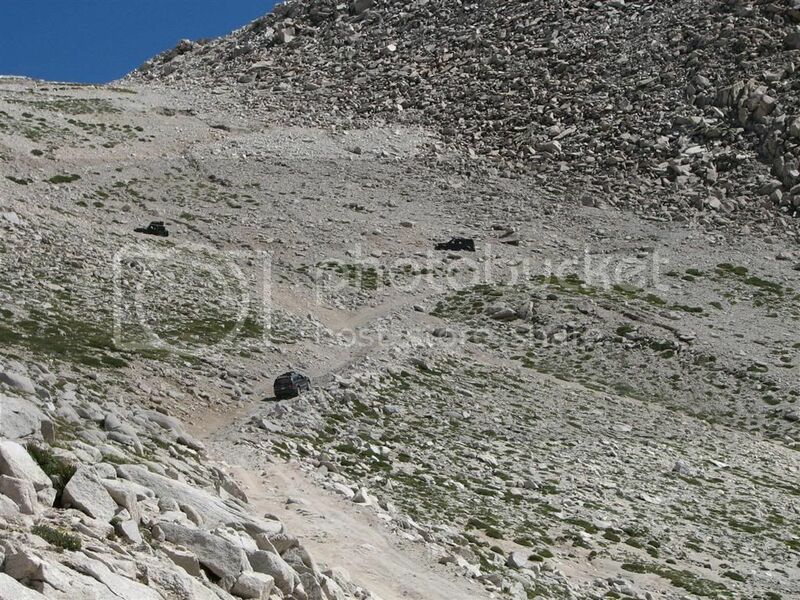 They are narrow steep switchbacks with very sharp turns. A few of them we had to make 3-point turns. Kind of scary because of the sheer drop on the other side... Great views, though!! This is us after the first set of switchbacks at a flat spot. This is also the beginning of the Browns Lake Trail. (More on that later) The photo is looking west. After this, the steeper switchbacks start. This part was really cool. 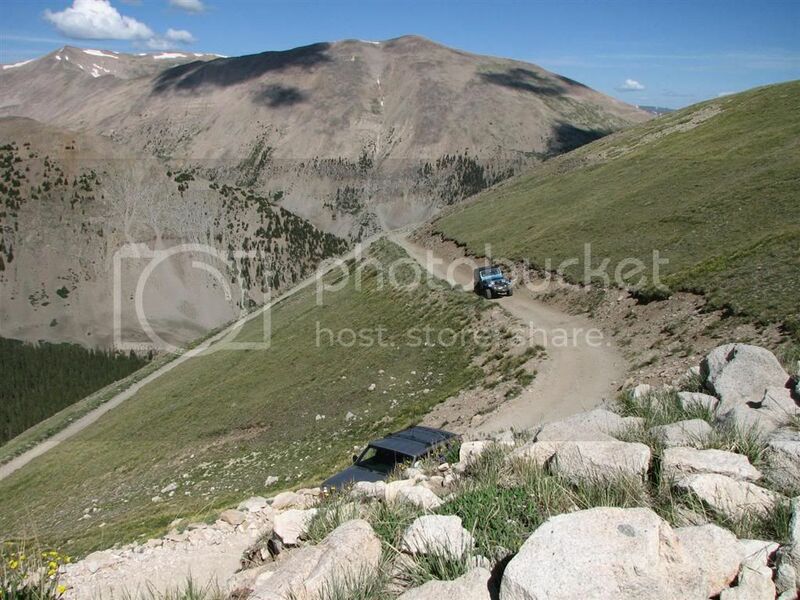 Great experience going up this steep rocky trail with a giant drop off literally a few feet from the passenger side tire. 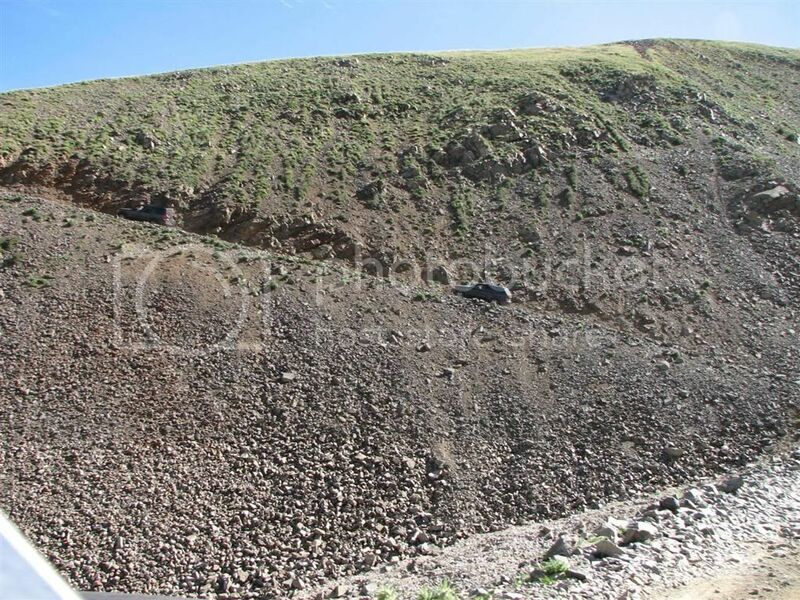 This shot gives you an idea of the steepness of the face of Mt. Antero. 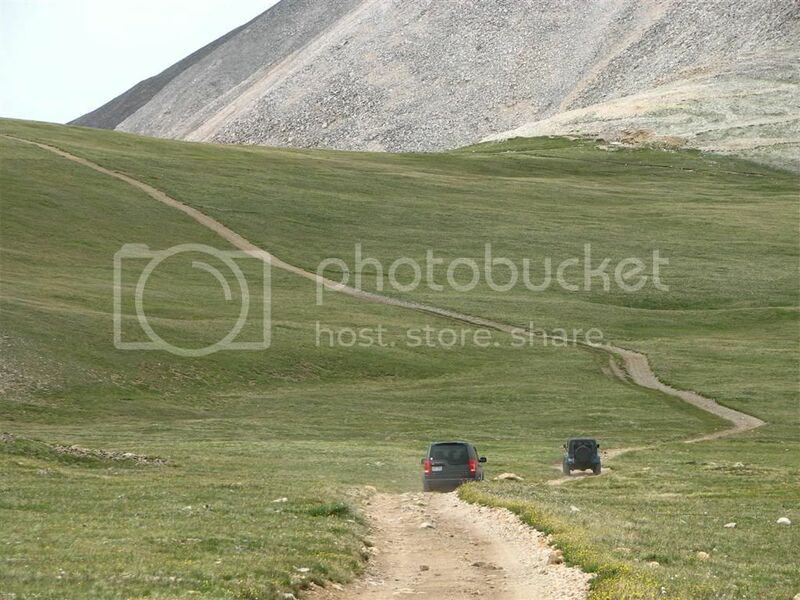 These vehicles are in our group ahead of us, and one is going one way and the other the opposite way but on a higher part of the trail. We are all in a line on three seperate parts of the trail at this point. This is at the top at the parking area. 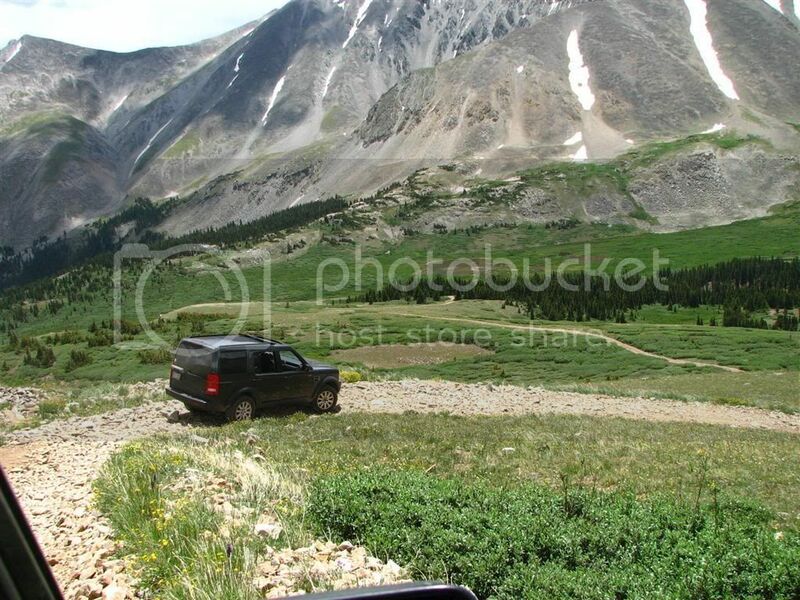 The elevation here is around 13,800'+/-. 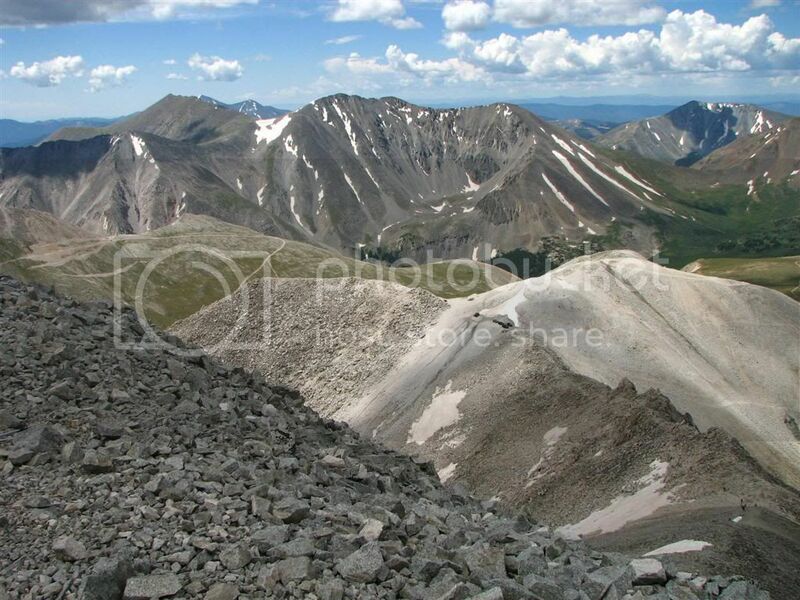 From here, it's hiking only up to the summit of Antero at 14'269'. My wife and I were the only 2 to hike up to the summit and we're glad we did. The views were so worth the effort! Back down the mountain we went to the flat, grassy area below to eat lunch. 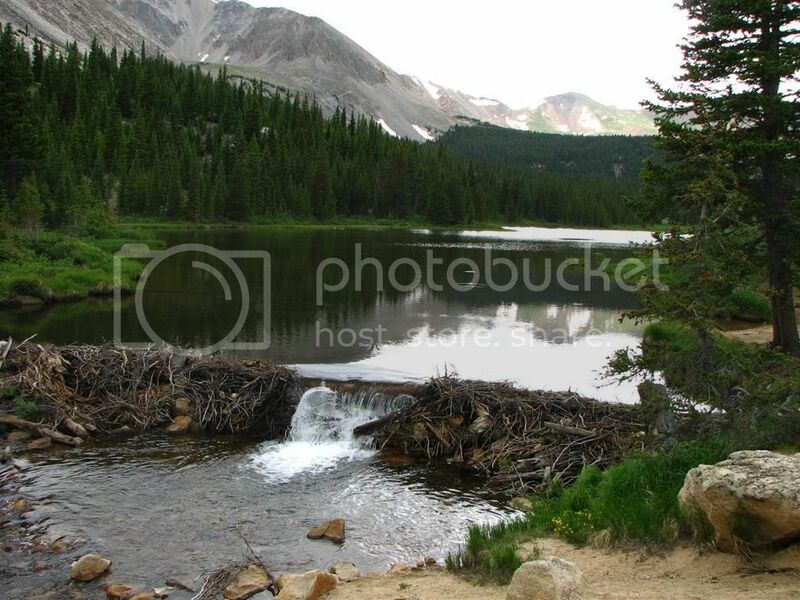 After that, some went home, and a couple of us headed down to Browns Lake which is a little south of Mt. Antero and Mt. White. The trail starts at an intersection just below Mt. Antero. 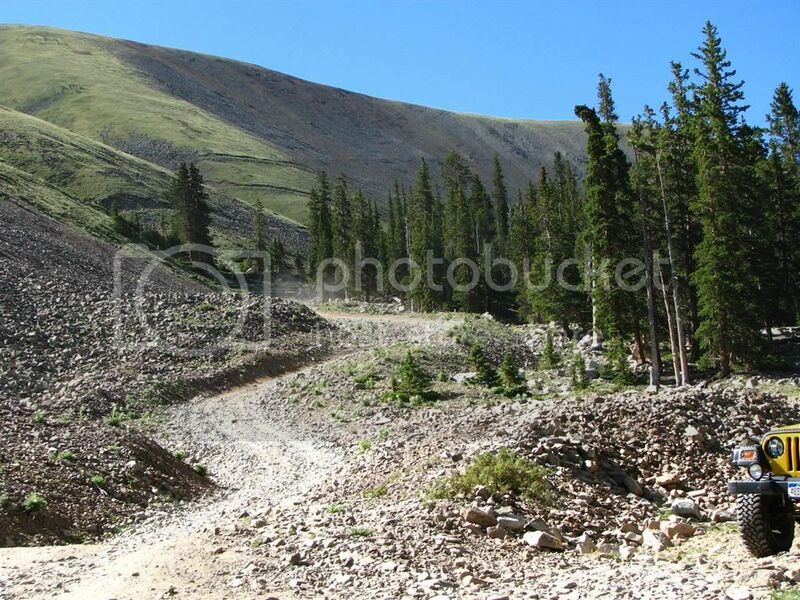 This trail is fun as it winds down and around into a valley and stream that feeds the lake. 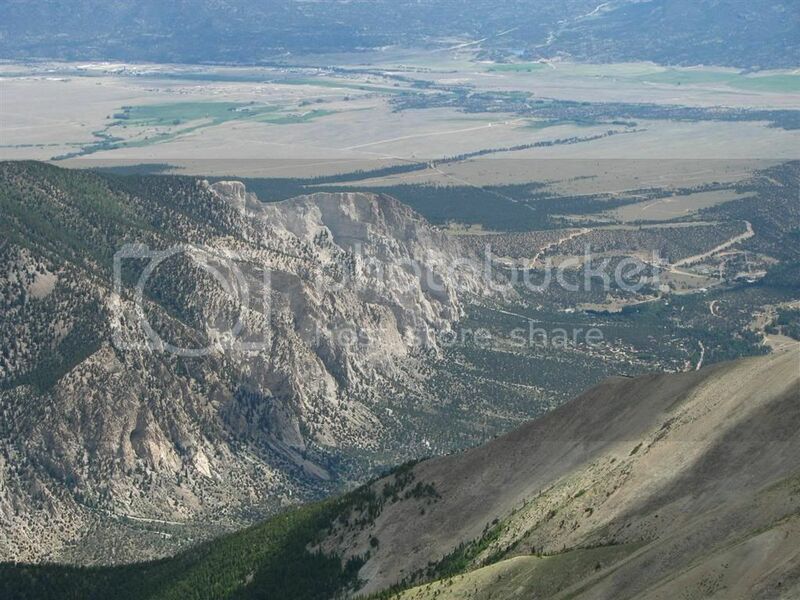 There is some really cool primitive campsites down there. Here are a few shots along that trail. Here is the dam end of the lake. It's only a short hike to this end of the lake from the end of the trail. Beautiful. 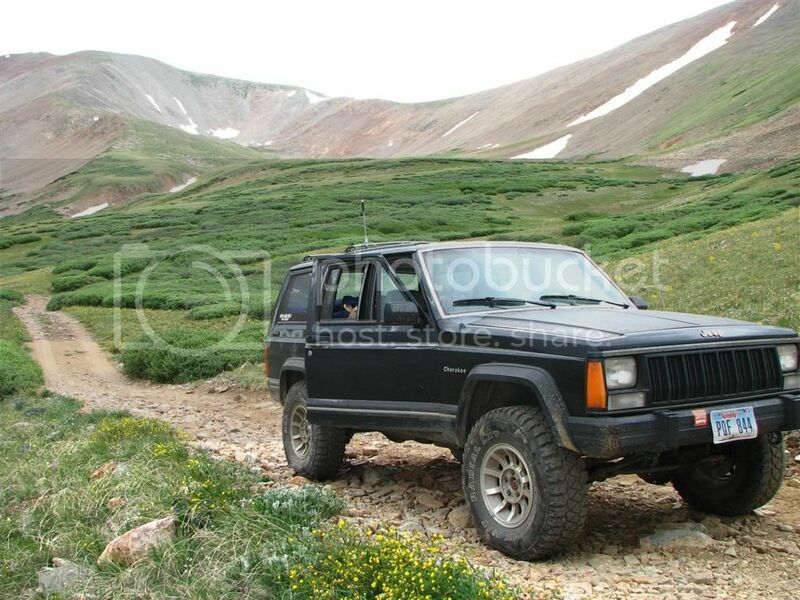 Here's a shot of the XJ on the way out of Browns Lake. Leaving Browns Lake trail to meet up with the Mt. 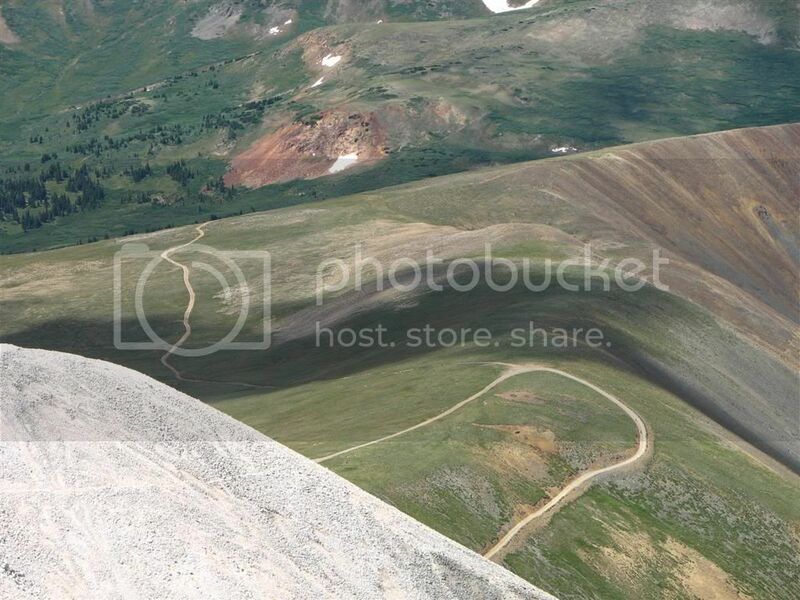 Antero trail to go back down. Jeeps are built, not bought. 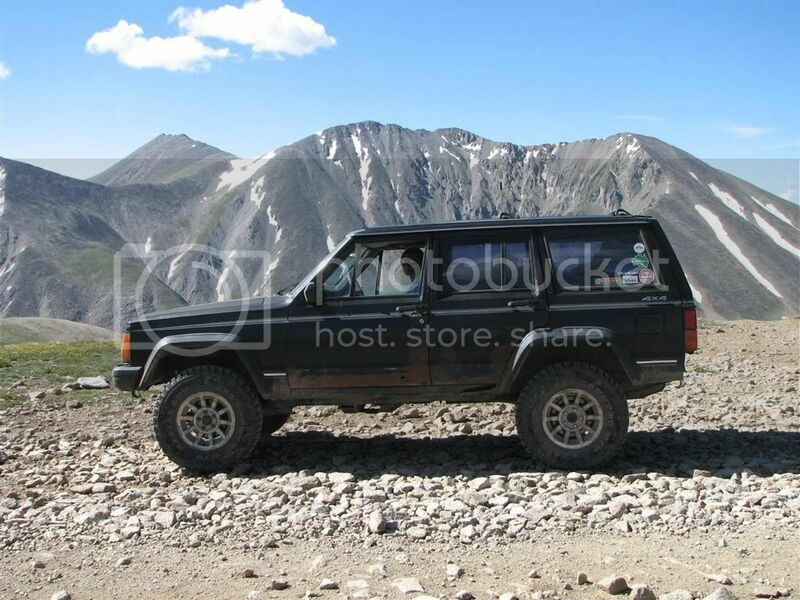 Future Mods: 8.8 or 44, rough country 2.5....I want an adventure vehicle not a "monster wheeler". 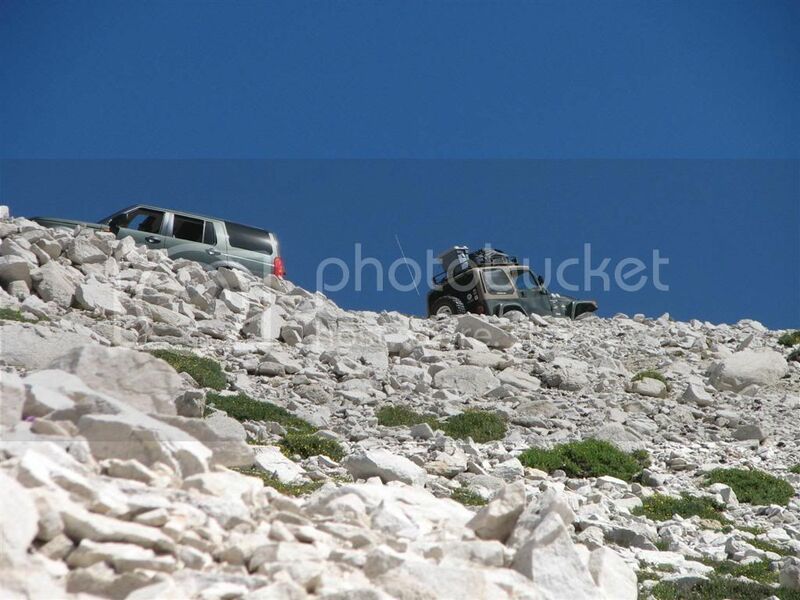 Say what you want about land rovers.....they are still there at the best places in the world!!! I can do anything, just give me instructions. Future Mods: finish and wheel the **** out of it. It doesnt get more beautiful than that! Accessories: CB, Optima Red Top, bunch of other goodies. 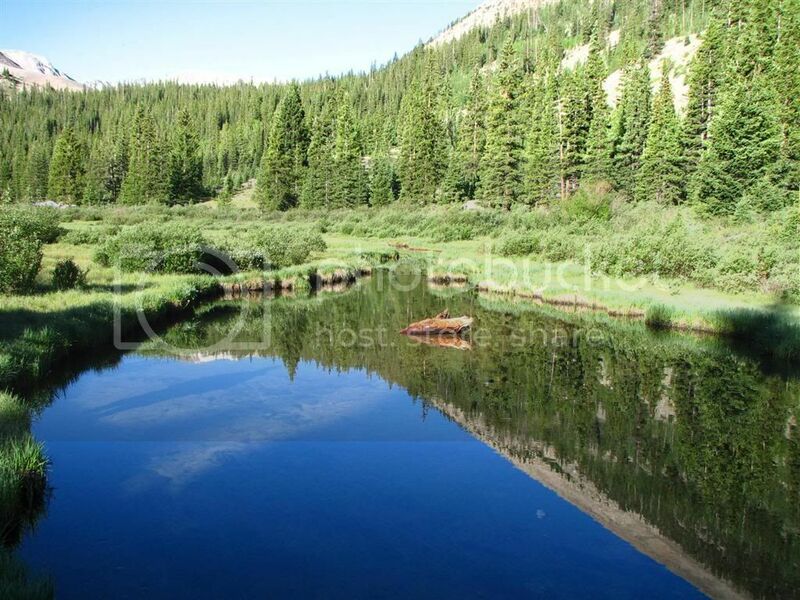 that pond in the 3rd pic turely shows how magnificant colorado is! Wow that's beautiful. 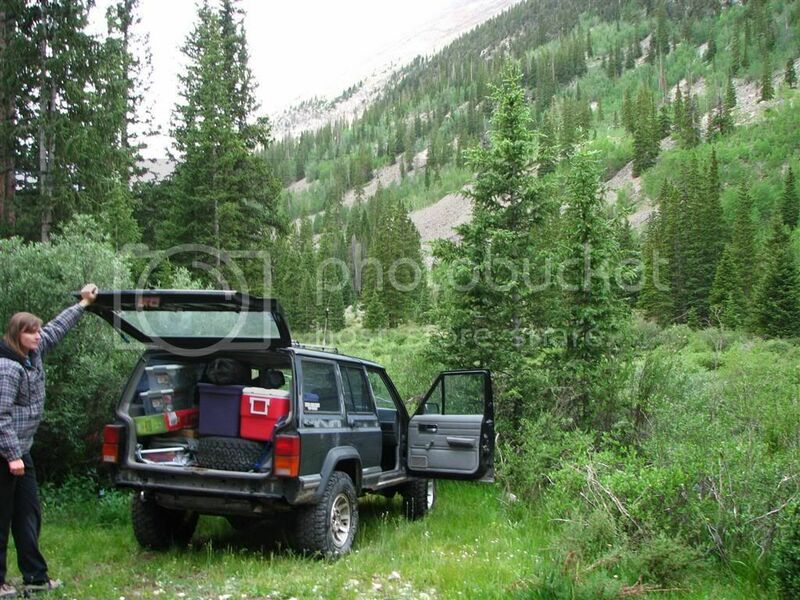 Reminds me of Ouray. Maybe I need to go to Mt. Antero sometime. Looks like you guys did alot of hiking to get to that one point too. Very nice camera work and photo editing! Over the mountains and through the woods, across the stream and up the slickrock, down the canyon and over the rocks to nobody's house I go. Armor: Home made sliders, Home made swing out rear bumper/tire/gas can rack. Great trip report! made me pull out my maps. 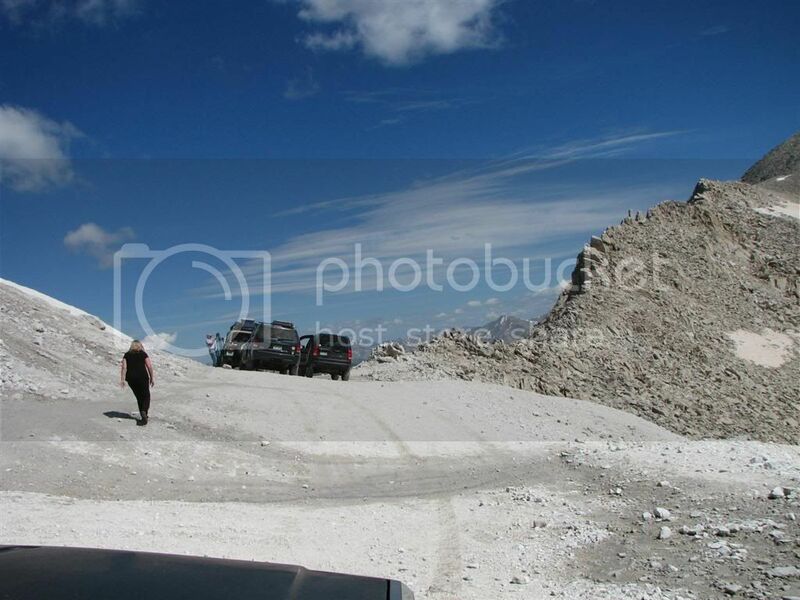 Was there consideration on going to Mt Bolder (found it on the map near Antero) and I think it is in the background of the 6th photo? 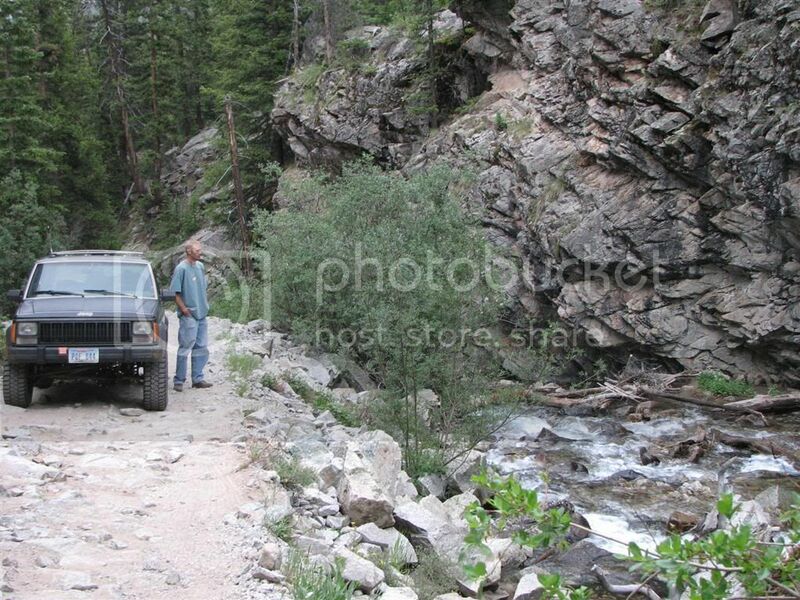 Looked to have some "fun looking" Jeep trails. So this summer are you going to move over to the San Juan's? Awesome pics! I'm jealous now!